The Autism Show is the largest gathering of the autism community in the UK. 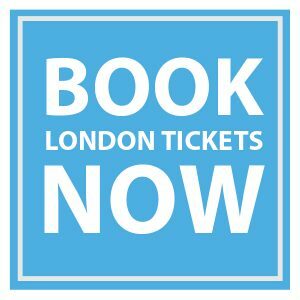 In London you can get in front of an expected audience of over 4,000 parents, carers and professionals in education, healthcare and local authorities, who deal with autism on a daily basis. If you also choose to exhibit in Birmingham and Manchester you will be able to access an expected combined audience of over 10,000 visitors from across the national autism community. Click here to download a PDF of last year’s visitor demographics. Click here to download a PDF of the floor plan. All stands include shell scheme, carpet, cleaning, and entry into the official show guide. Stands in London are charged at £395 per sqm plus VAT and include stand construction, carpet, stand cleaning and entry into the official show guide. Stands in Birmingham are charged at £375 per sqm plus VAT and include stand construction, carpet, stand cleaning and entry into the official show guide. Stands in Manchester are charged at £375 per sqm plus VAT and include stand construction, carpet, stand cleaning and entry into the official show guide. Exhibit at two events and receive a 10% stand discount off the lowest priced event. Exhibit at three events and receive a further 20% stand discount off the lowest priced event. There are a number of sponsorship opportunities available to enhance your presence both before and during the event. We can also create bespoke packages based around your needs. For more information please email sales@autismshow.co.uk or call 020 8882 0629.